we invite documentary film submissions to be screened during the 7th “Days of Ethnographic Cinema” Festival in Moscow from September 25 to September 29, 2018. The organizers invite filmmakers and students working in the fields of ethnography and anthropology and in other related disciplines to participate in the meeting. - Registration form filled out in Russian and/or English. No fee is required. The organizers apologize for not being able to return the submitted materials. We have pleasure to announce a public lecture of professor of anthropology Stefan Helmreich (Massachusetts Institute of Technology) entitled as “An Anthropology of Waves” to be held September 30 in the National Research University Higher School of Economics. 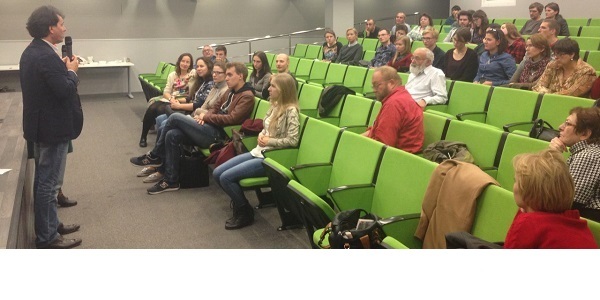 Place and time: 2/8 Khitrovsky Pereulok, Building 5, Moscow (Faculty of Communication, Media, and Design), Room 405. September 30, at 6.00 p.m.
Department of Research Arts is happy to invite you to take part in the roundtable discussion “Soundscape in the Anthropology of Science and Art” which will be dedicated to different ways sound is used in contemporary anthropological and artistic practices. Before the discussion we will screen Solaris, a film by Pavel Borecký. Venue: Triumph Gallery, 3/8, Ilyinka Street, building 5. Date and time: September 29, 2016; 6.00 pm. 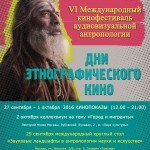 For the sixth time the International Cinema Festival of Audiovisual Anthropology “Days of Ethnographic Cinema” will open its doors in Moscow. 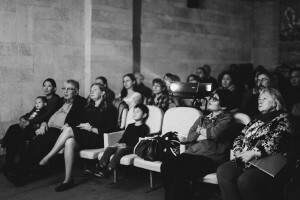 The festival is being held by National Research University Higher School of Economics, Russian State University for the Humanities, All-Russian State University of Cinematography named after S.A.Gerasimov in partnership with Peter the Great Museum of Anthropology and Ethnography (Kunstkamera) as well as the Museum of Moscow. 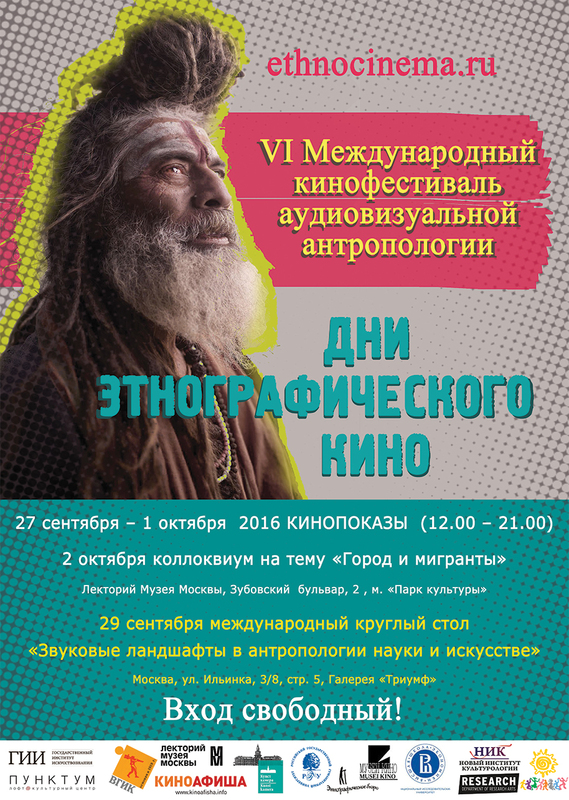 Urban Anthropology will be the main theme of the Festival as it is topical for the globalizing world. The festival will be featuring screenings of anthropological films as well as theoretical discussions.